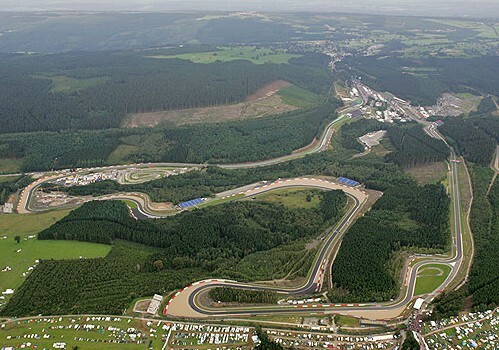 03/08/2011 - The Italian Formula 3 Championship is going to be on track for the first time ever at Spa-Francorchamps (Belgium) circuit this weekend. The prestigious ACI-CSAI series, powered by Fiat Powertrain Racing since 2008, schedules in fact the fourth round of its 46th season on the thrilling Belgian circuit. The round of Spa-Francorchamps will mark the turning point of the season with seven drivers at the top of the classification within 21 points. This is a gap that can be filled with a victory and the fastest lap of the race on Saturday, an objective that seems to be achievable by a whole lot of drivers due to the high performance equilibrium seen so far. The classification leader is Edoardo Liberati of Team Ghinzani, author of all pole positions and two wins in race one in the three rounds run so far. His closest rival in terms of performance and points will be Sergio Campana (BVM-Target) who, after four podiums, is now hunting for the first victory of the season that could fill the 6 points gap from the top. The Californian Michael Lewis (Prema Powerteam), third absolute and first in the rookies classification will have the same target , while Kevin Giovesi (Lucidi Motors) and Brandon Maisano (BVM-Target), respectively fourth and fifth in the standings, after winning in race two, will aim to the top step of the podium of race one, the one awarding the highest amount of points. The top 7 is completed by the Frenchman Maxime Jousse (BVM-Target) and the Swiss Raffaele Marciello (Prema Powerteam), with the latter great protagonist last weekend in Spa's Belgian round of the FIA Formula 3 Trophy. The pupil of the Ferrari Driver Academy ended the weekend with the fifth place in race 3 keeping at his back more experienced drivers such as Marko Asmer and Felipe Nasr. This is a great result both for the young driver of Italian origins and for the Italian Formula 3 Championship too. Eddie Cheever (Lucidi Motors), Facu Regalia (Team Ghinzani) and Victor Guerin (Lucidi Motors) will also be determined to get a good result after tasting the podium in their first season in the Italian Formula 3; other awaited protagonists will be Andrea Roda (Prema Powerteam), Daniel Mancinelli (RP Motorsport) and Federico Vecchi (LineRace-CO2 Motorsport). The starting grid of Spa will welcome back David Fumanelli, that is returning to the series at the wheel of a car lined up by RP Motorsport. The 19 years old from Milan took part last year in the round in Monza (ninth in race one) and now is racing for the third season in the Spanish F.3 Open where he obtained his first podium of the season in a round held in Spa. The Belgian weekend will start on Friday 5 August with free practice scheduled for 10.15 and 13.15 (GMT+2), followed by qualifying at 16.45. The races will start on Saturday 6 at 16.20 and on Sunday at 10.20.